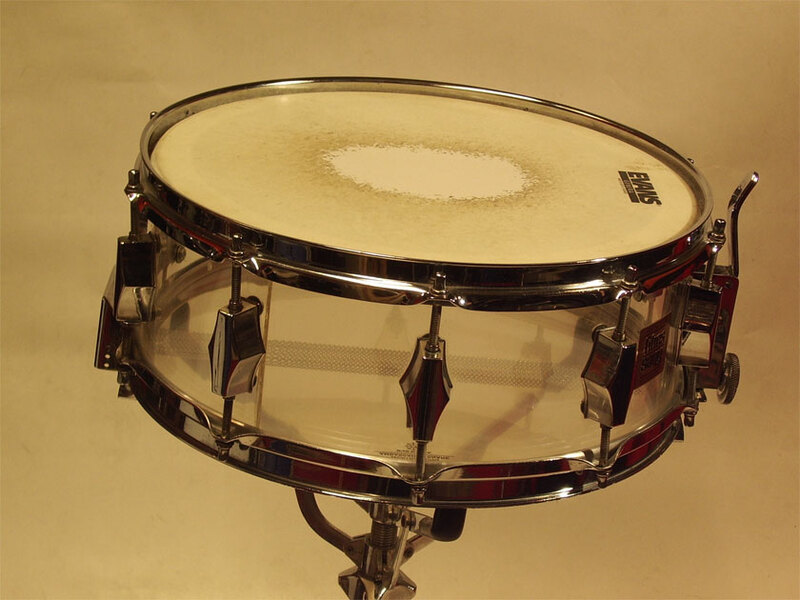 5.5 x 14 clear Crystalite. 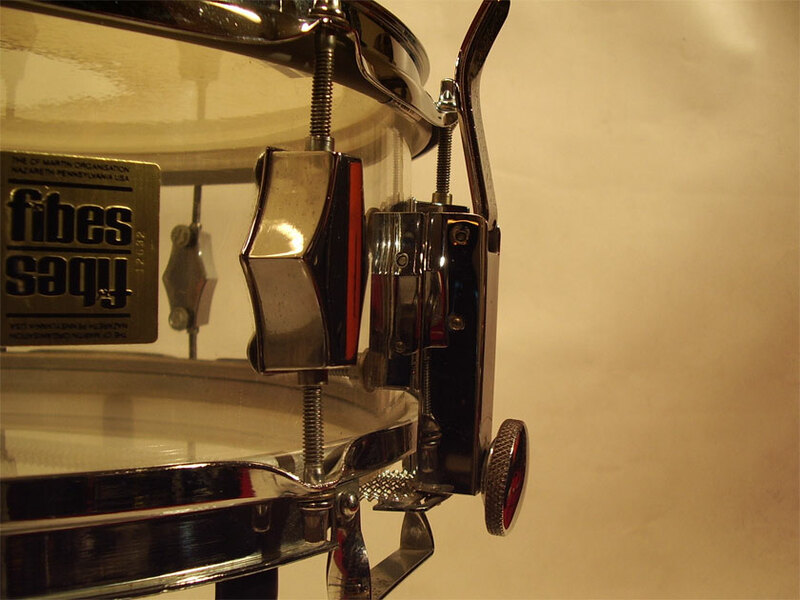 SFT strainer, everything works great, tunes up real nice. 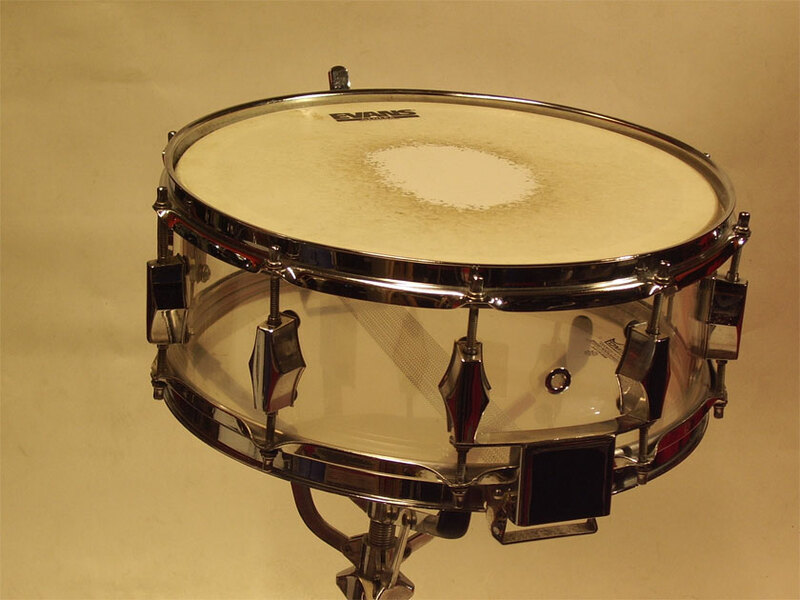 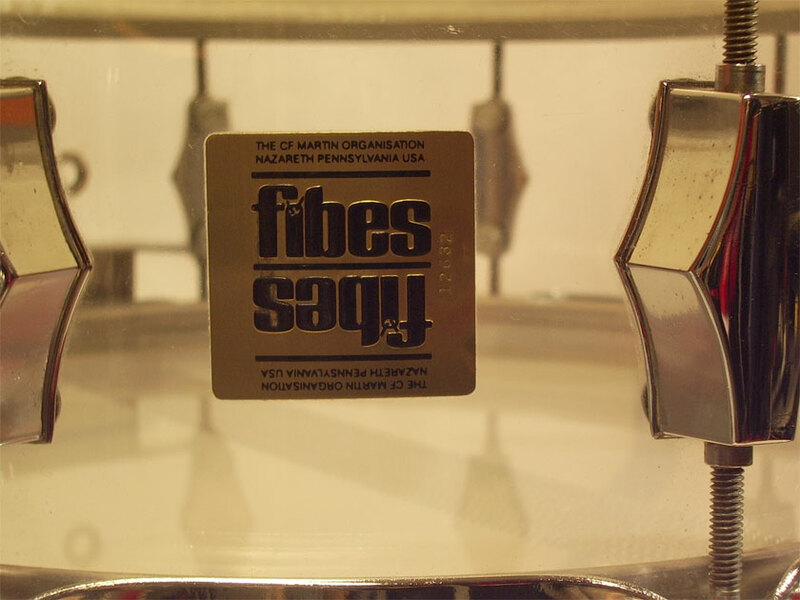 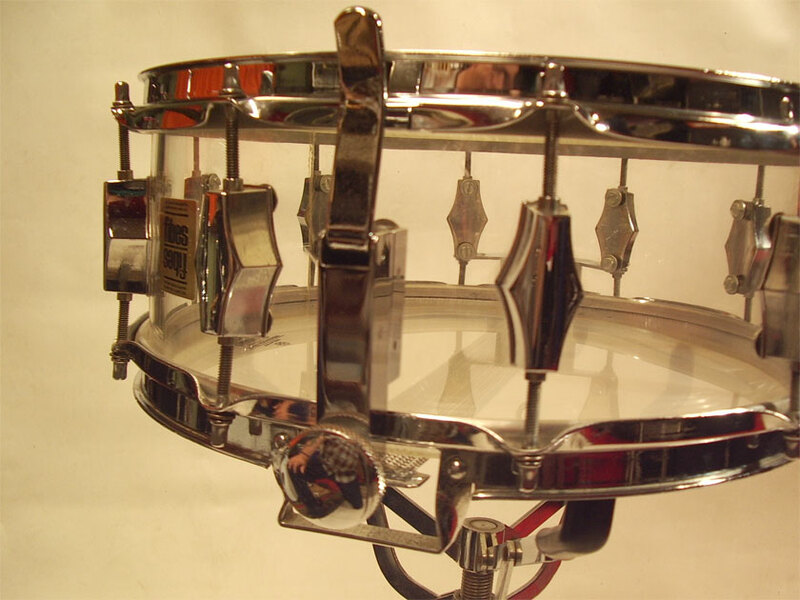 The chrome hardware of this snare has very little pitting, the shell is really nice. 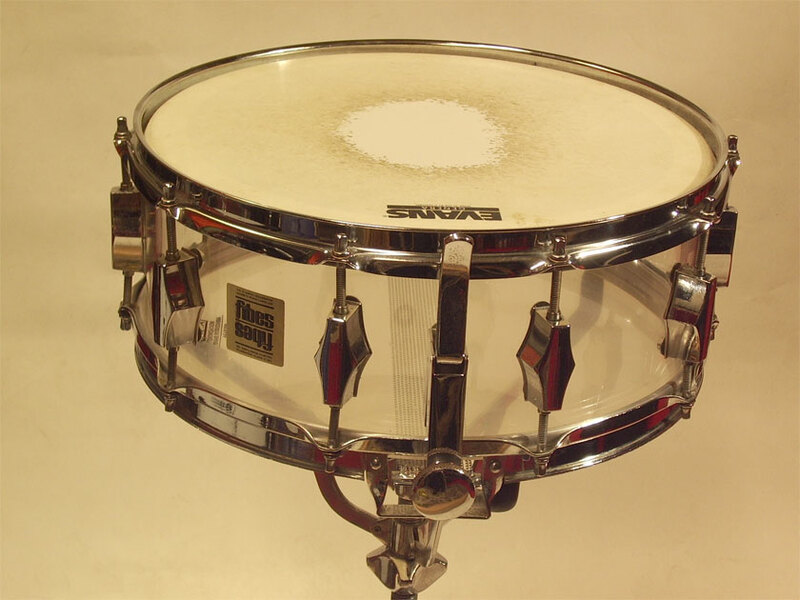 Nice original and great sounding snaredrum.